TORONTO Toronto Mayor Rob Ford has admitted to the City Council that he has bought illegal drugs in the past two years. The mayor made the confession under direct questioning by councilors who are debating a motion that would ask him to take a leave of absence. 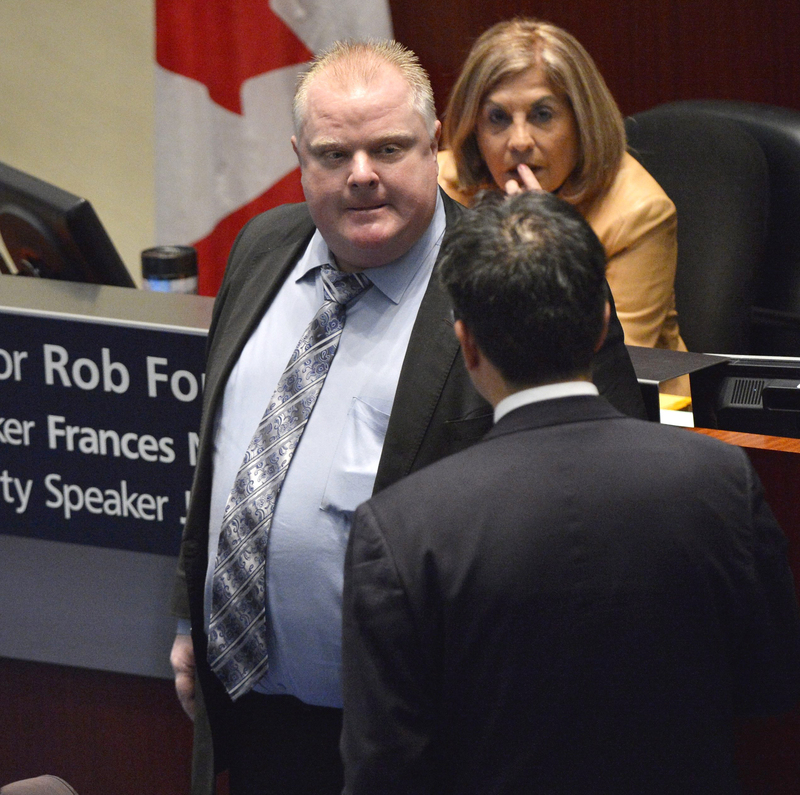 Councilor Denzil Minnan-Wong asked Ford if he had bought illegal drugs in the past two years. After a long pause, Ford replied: "Yes I have." Ford publicly admitted last week that he smoked crack cocaine last year in a "drunken stupor" but his comments Wednesday marked the first time he admitted to having bought illegal drugs. Last week, a video surfaced showing Ford in a rambling rage, using threatening words including "kill" and "murder." The mayor told reporters moments after the video was posted online that he was "extremely, extremely inebriated" in it and "embarrassed" by it. The context of the video is unknown and it's unclear who the target of Ford's wrath is. The video, which appeared at length on the Toronto Star's website and in clips on the Toronto Sun's website, prompted another round of calls for Ford to step down. Despite immense pressure from allies and critics, the mayor of North America's fourth largest city has refused to resign or take a leave of absence. Toronto Star reporter Kevin Donovan told CBS News that he wasn't surprised by the mayor's reaction. "Mayor Ford has made it very clear this is a football game to him," said Donovan. "He's going to the very last second on the clock."